Daily Turismo: Gotham City Cruiser: 1973 Ford Pinto Wagon "Batmobile"
Gotham City Cruiser: 1973 Ford Pinto Wagon "Batmobile"
There are some who might say that a labor of love is dropping 100K to restore a Porsche 356 that has been used as a planter box for the last 30 years. These people are wrong. 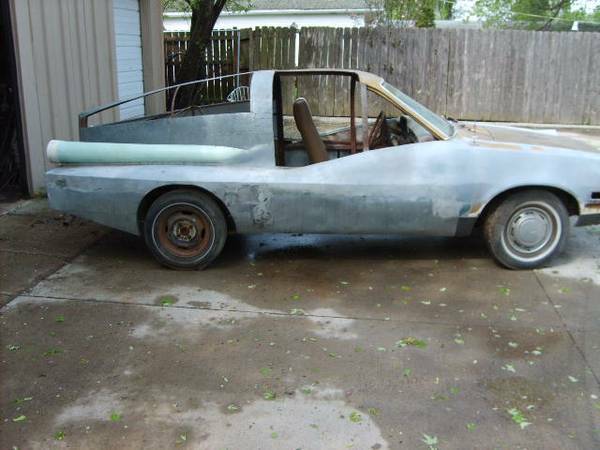 Find this 1973 Pinto Wagon Batmobile for sale in Des Moines, IA for $1,550 via craigslist. 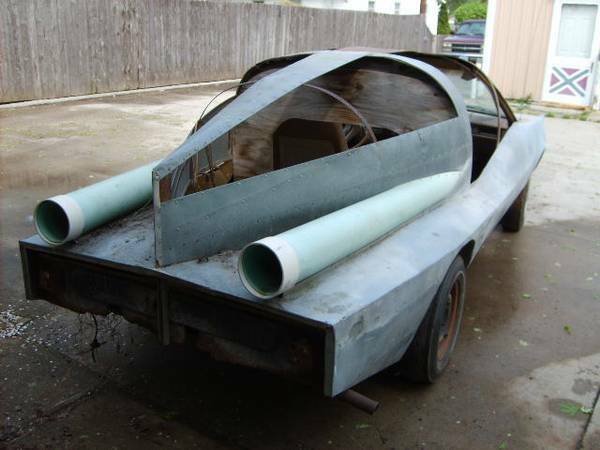 When you are an 85-year-old man and you begin a project to transform a Pinto into a Batmobile replica for your granddaughter, that, my friends, is called a labor of love. While the ad doesn't provide a whole lot of information about the story behind this vehicle, it is safe to say that it is a rolling monument to love that deserves completion. If you are the brave soul who picks up the torch to finish this project my hat is off to you. First, you should complete the brake work needed to get it stop properly. If Ralph Nader considered the Pinto to be unsafe in stock form, I wonder how he would feel about this structurally compromised vehicle with no brakes. After that, please consider adding some real pulse jets. They simply belong on this car and would round out the theme with some serious panache. 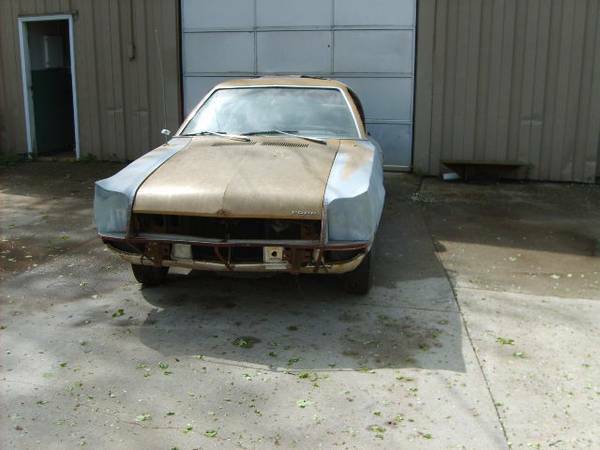 Before tackling the remaining bodywork, the new owner should think about upping the pony count, as well. Although the ad says the car contains a rebuilt engine, a turbo 2.3 from a Thunderbird Turbo Coupe with a straight pipe would provide the proper motivation and soundtrack for this car. Finally, finish it in a black with red trim paint scheme that its creator would no doubt recognize. Now you are ready to fight crime. Oh Des Moines, I've left you but you've never left me. Whoops, I just crossed the no more than one image per comment streams. Sorry. That is the last straw, LIFETIME BAN, ehhh...wait...there is a rule about one image per comment....oh yeah. It doesn't apply if the images are about Iowa (the state or the battleship). Keep Calm and Keokuk On. raises an interesting question: what are the minimum elements of a Batmobile? There is something oddly.... GOOD? about this project. I mean, there actually seems to have been some thought and craftsmanship put into it. The doors were sealed up and sculpted into the Batmobile curves and it looks like they actually match, although the scooped portion is really in the wrong place to make getting into the car any easier... The original belt line that starts on the front fenders and runs along the doors is carried all the way down the length of the car. I'll bet this started as a wagon. There are some extra cross bars put in behind the door skins if you really zoom in... And the rear fuselage portion?? C'mon! Some serious thought went into that! I don't know how you would ever finish up those rear window sections on a budget, but the seller really should have just gone ahead and thrown a tarp over the interior bits, masked the windshield and just shot the whole thing with some satin black real quick-like. It really would show the potential here. 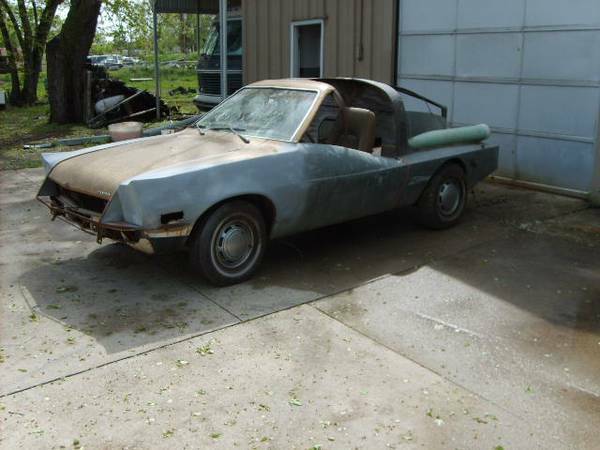 Would I buy it or drive it? Never. But still.